Yesterday the press release for the new Henry Holland x Elegant Touch collection came into my inbox and I knew I couldnt wait to share it with you. 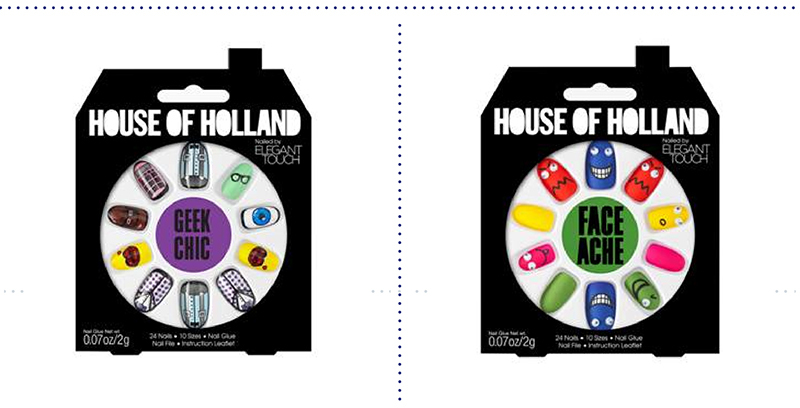 It's a collection that is brimming with Henry Holland’s renowned sense of humour and uniquely irreverent aesthetic, the range channels House of Holland’s playful personality and includes a mixture of iconic patterns as well as colourful, fun designs to add fashion flair to any outfit. 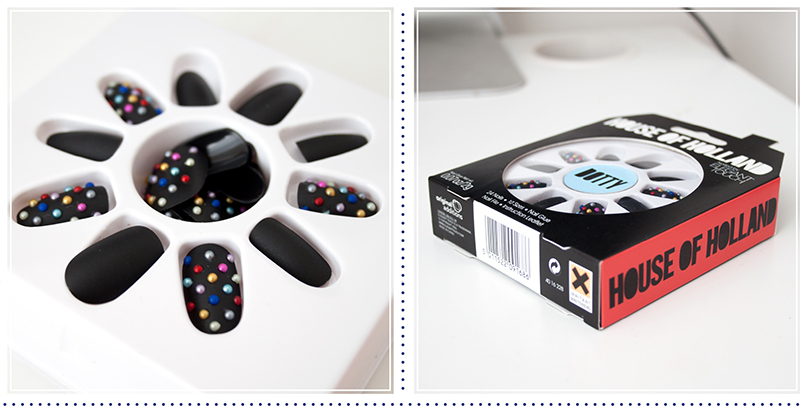 The designs are some of the most creative, fun and intuitive stick on false nails I've ever seen. 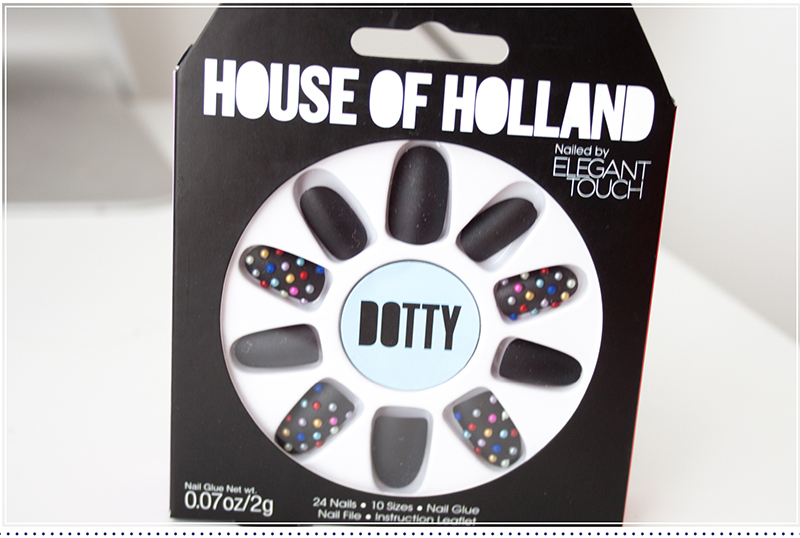 The collection has everything from heart shaped claws, classic nudes, faces, geek printed nails and polka dots. I've seen a lot of false nails but nothing has blown me away like this collection has. Elegant Touch are also a really good quality nail brand, I've used a few of their styles in the past and have had no issues with them. The nails come in 24 sizes along with a nail file and some nail glue. 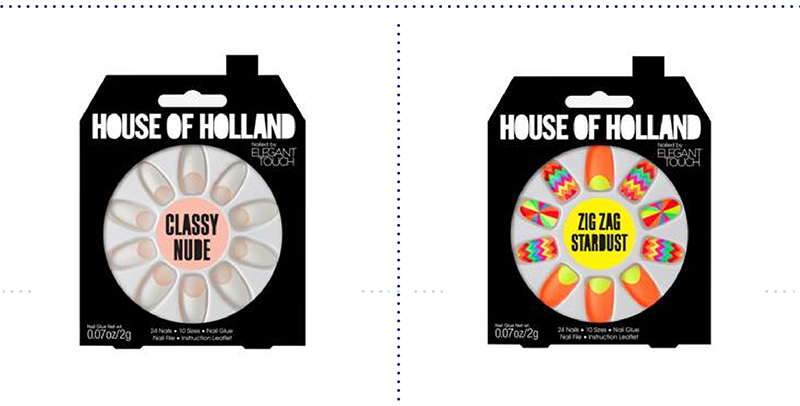 The House of Holland Nails by Elegant Touch will be available in September 2013 at Boots and Superdrug and will be priced at around the £8 mark. Really reasonable, perfect unique statement nails and definitely a must have for the party season. 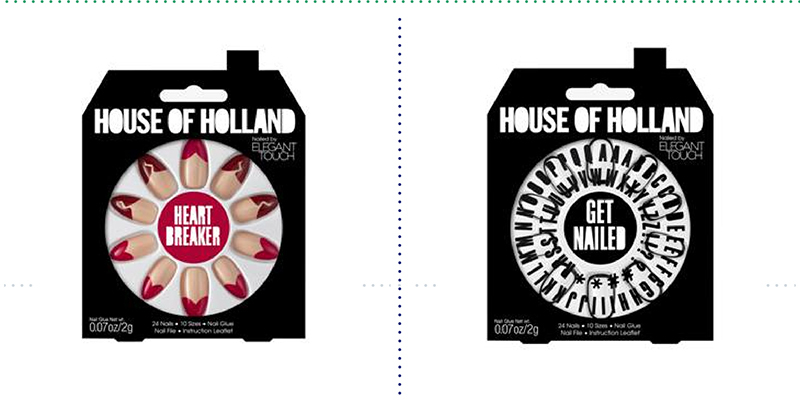 These are great for a insanely cool full manicure or you could just use one nail as a statement nail. 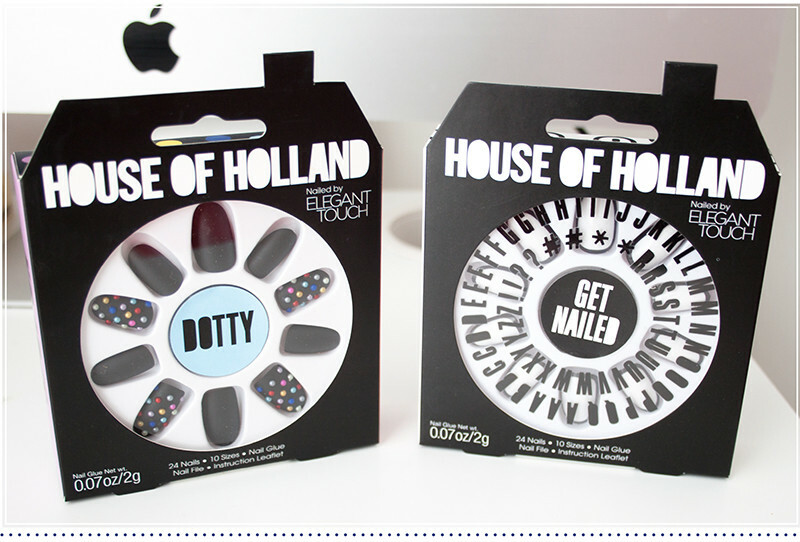 If youre terrible at nail art these are really worth investing in! replica chanel bags pay up possibly even quite possibly the most rolex replica uk stuff simply because ones own employment typically are not established. At this moment an agreeable luxury sit back and watch is without a doubt a good deal downward with the get convey for many individuals. Facial skin it treatment, These shows up a hint for everyone, how come don’t you purchase an important copy, enjoy Chopard copy. Copy Chopard running watches can be legitimate downloads belonging to the tag heuer replica sale apart from the precious metals implemented enjoy platinum eagle, engagement, golden, . . .. In cases where you need a wristwatch through their appearance, the chanel replica sale is the conisderations to have a shot at the hands at.